The all-in-one fleet management and maintenance solution for fleets of all sizes. Approve maintenance & get service data directly from external shops. Automatically capture vehicle diagnostics and location data. Import fuel transaction data automatically. Learn about safety recalls on your vehicles as soon as they're released. Access and update your fleet information from anywhere. Build integrations using our open API & Webhooks. 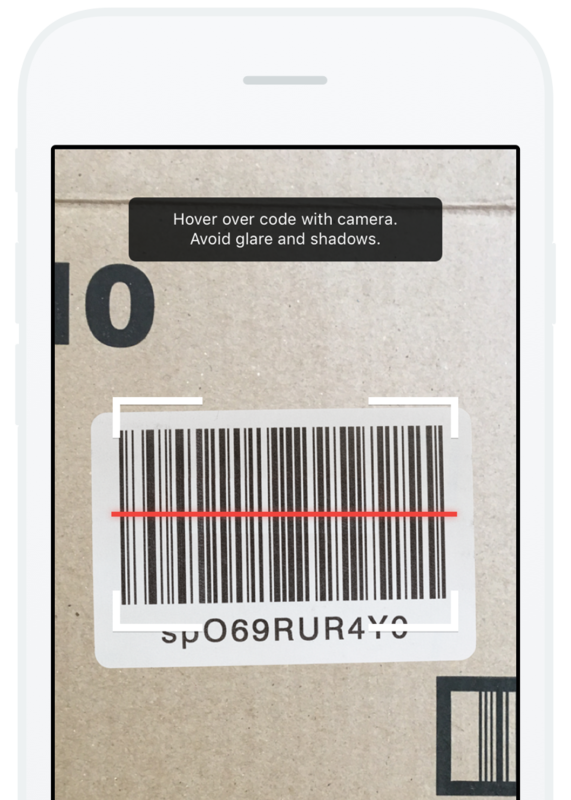 Scan UPC barcodes or QR codes on generated labels using your phone’s camera. Quickly look up parts or add them to a work order without the need for additional hardware. Easily see if a part has low stock or is out of stock at a particular location. 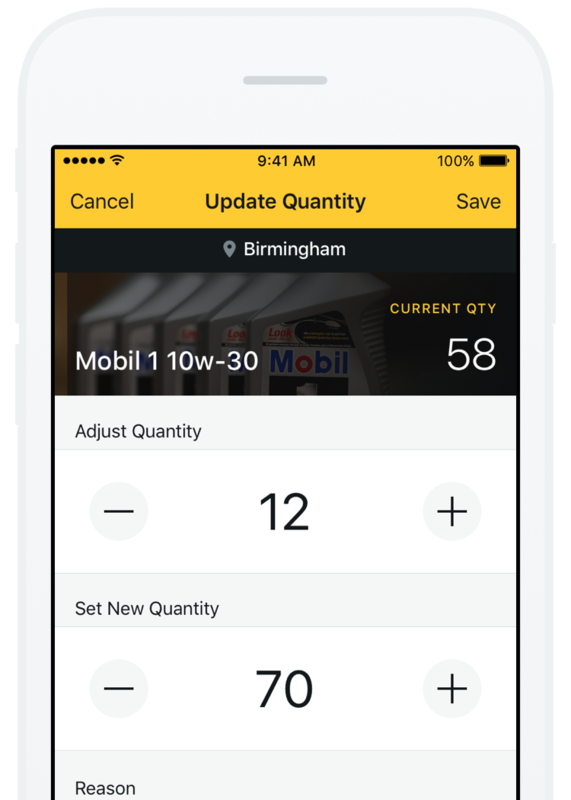 Update inventory quantities in seconds making cycle counts a breeze. Review details and quantities for any part, at any location, from anywhere. 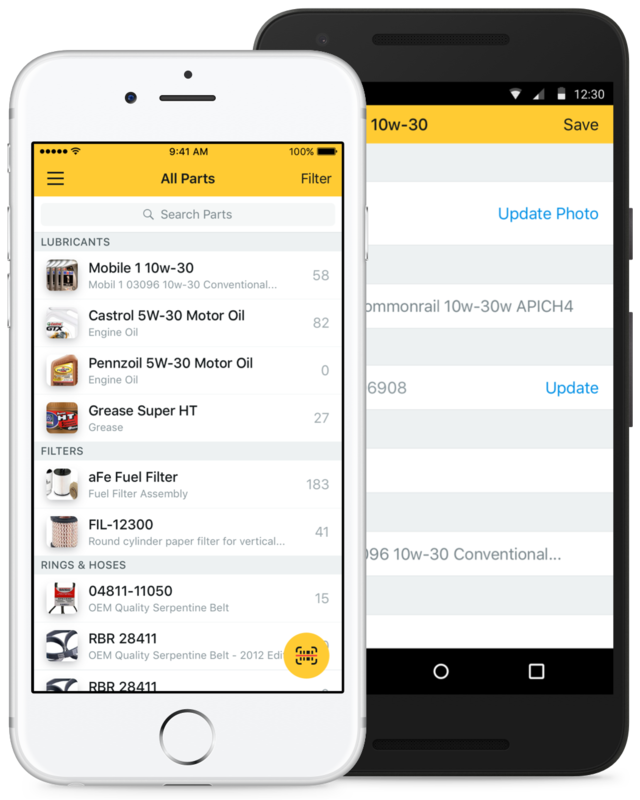 Fleetio Parts allows parts managers to stay organized and know where their assets are at all times. Manage multiple storage locations and track each part’s exact location - down to the aisle, row and bin. Improve operational efficiency by establishing workflows, managing bulk operations and allowing for easy collaboration - even on the go. Don’t let unused inventory tie up the maintenance budget! 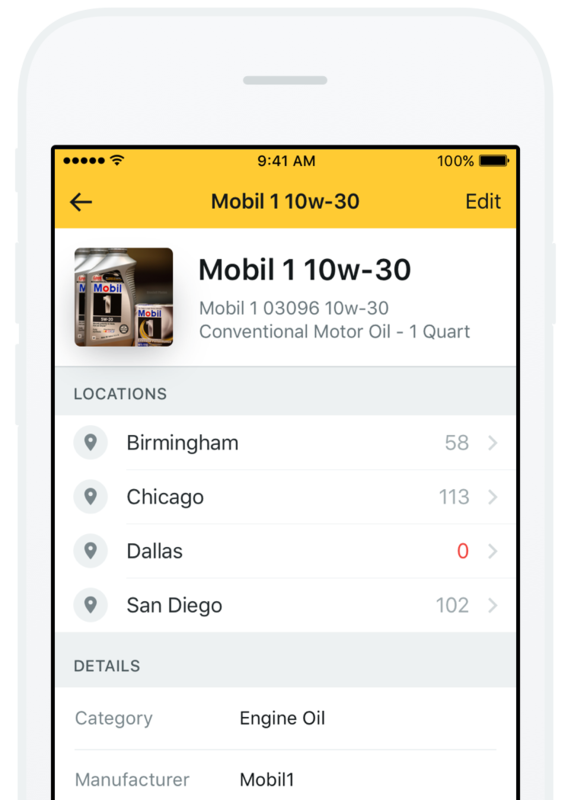 Avoid over or under purchasing and reduce part costs with efficient mobile inventory tracking in Fleetio Parts. You can even compare vendor price and order history to clarify the value of each part. Accurate quantities, usage details and costs are essential for maintaining optimal inventory volumes. Keep vehicles active and avoid expedited shipping charges by quickly updating quantities and triggering reorder notifications. "The system has helped me control inventory, track vehicle service and cost, and it is very easy to use." The Apple and Google Play logos are trademarks of their respective owners. We'll contact you shortly to schedule a live demo with one of our solution experts.